Folds down to 1/8 of its open size! The full-featured, full sized City Mini ZIP is Baby Jogger's smallest folding stroller. 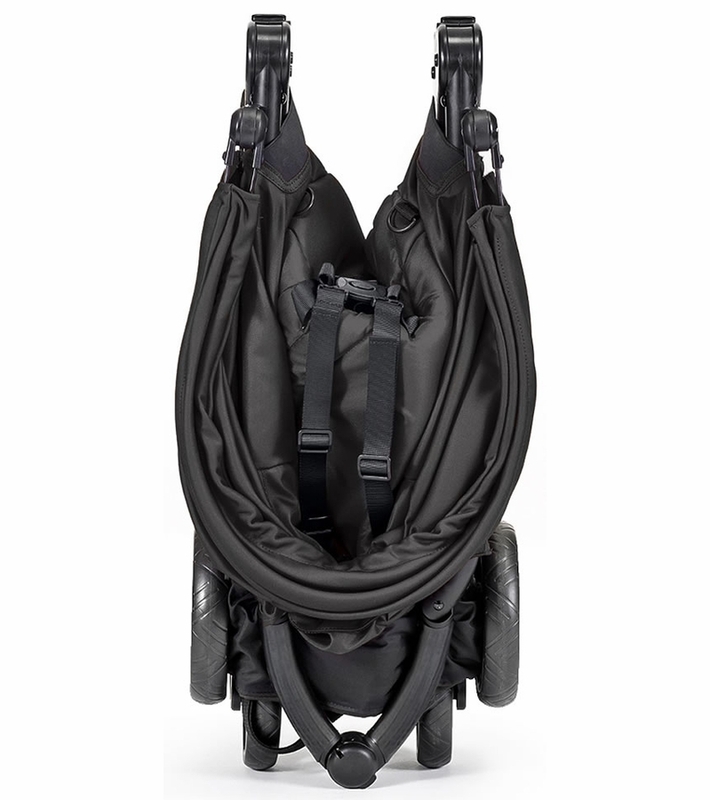 It doesn?t just fold in half from top to bottom, it folds in from the sides, which means the one-hand 3D fold action will fold the City Mini ZIP down to 1/8th the volume of the open stroller. So it fits in the smallest of places and makes traveling a breeze. With the push of a button and the pull of a strap, the City Mini ZIP folds three-dimensionally making this the most compact Baby Jogger fold yet - still using just one hand! It even stands while folded. The large UV 50+ canopy can adjust to multiple positions and will throw a lot of shade on a sunny day. The seat reclines to a near flat position with seat-back vents and a retractable weather cover to make sure that your child is comfortable and safe as they watch the world go by. With a 55 lb. weight capacity, your little one will be good to go. 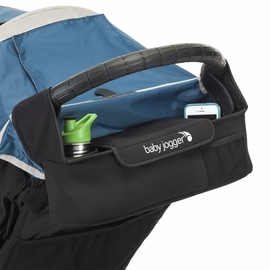 A convenient cup holder is included on the City Mini ZIP to keep your baby?s bottle or your own beverage close at hand. You can set your 5.5? lightweight front wheels to swivel for your daily obstacle course or lock for long distance strolling. The front wheel suspension provides a smooth ride for your baby. 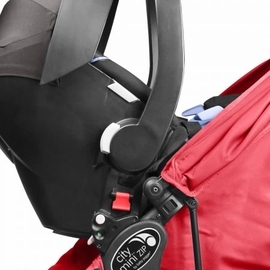 The City Mini ZIP can become a travel system in a heartbeat using a car seat adapter. Simply snap on the brackets and you've got a customized travel system for your infant (adapter sold separately). Suitable for use by babies from birth up to 55 lb. We bought this for our grandchild and have been able to use it when they visit. It rolls along very well and steers easily, even with one hand when necessary. Purchased as a gift. The couple loves it. I felt it was a great stroller for it price range compared to others. We previously had a City Select and we were very happy with it. We bought a City Mini Zip for it's smaller size. 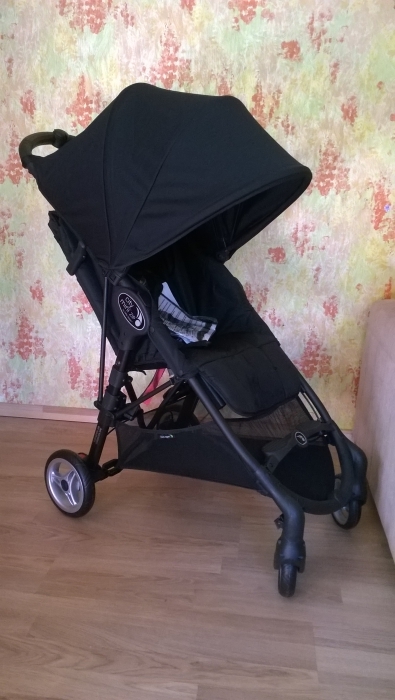 It works great however I have had to replace 5 snaps and within two months of using the baby seat attachment for Peg Perego 4-35 the stroller fabric has holes from the attachment frame rubbing. It's so frustrating as the quality is lacking. Our new baby is only two months old and the stroller is falling apart from using it about dozen times indoors at the shopping centre.For the price, this stroller model is not worth it. We previously had a City Select and we were very happy with it. We bought a City Mini Zip for it's smaller size. It works great however I have had to replace 5 snaps and within two months of using the baby seat attachment for Peg Perego 4-35 the stroller fabric has holes from the attachment frame rubbing. It's so frustrating as the quality is lacking. Our new baby is only two months old and the stroller is falling apart from using it about dozen times indoors at the shopping centre. For the price, this stroller model is not worth it. I'm really happy with my baby jogger, the quality feels amazing! I have not gotten a chance to use it as my due date is tomorrow, but I trust baby jogger products. Very excited to have this stroller. Nice, light, easy to use and perfect for traveling. Invested in the car seat adapters and plan to get the bag it goes in as well. Amazing. Wish I would have gotten sooner. I researched and read Mandy reviews before I purchased. I found more negative than positive reviews... however I am so glad I went ahead and purchased the zip. This stroller is super easy to fold and unfold. It is perfect for my 15 month old. We have a City Mini gt that we love but I wanted something a bit smaller and more compact to keep in the car. The basket is a generous size for an umbrella and I love that it has a one hand push. Also love how high the my daughter sits in this stroller compared to other umbrellas. I almost returned it because my mom had difficulty folding it but one you get the hang of it, it really is super easy. Glad I got this stroller. 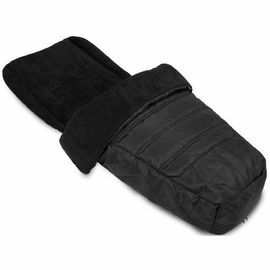 Easy to open, easy to fold, Lightweight, turns easy, comfortable for my 3 year old toddler, I can push with one hand, great for tight spaces like at the mall. I also purchased the belly bar. also purchased the belly bar. I am one of those moms who looked for the perfect stroller for weeks before making a final decision. I'm so happy that I chose this stroller. It's perfect for the on the go parents. Perfect for transit travel!! I use to take a 3 hr transit ride to work with my 2 year old son and the city mini zip made it so much easier than I thought it would be. Every traveling mom knows how important it is to be able to close a carriage with one hand. This stroller is the one! I cannot tell you how many times I got stopped by others asking me where I got my stroller from (because they saw how easy it was for me to carry my bag and my toddler whilst closing my carriage....without even having to bend down!!!). Plus not super bulky and heavy like the more fancier ones. Not to mention the draw back that allows your little one to lay down if they fall asleep. I hated the idea of my son falling asleep in a stroller that would make his neck look so uncomfortable. Other perks: I do grocery shopping on my own and I am able to stuff an incredible amount of groceries in the bottom storage and even hang some off top (and I walked home). The stroller is easy to navigate! The wheels give it a full range of motion. You also have an optional foot rest for your little one. 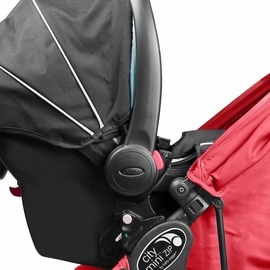 The accessories are the stroller all live up to its expectations except one: the cup holder. It's SO CHEAPLY BUILT and would hold absolutely NOTHING! So I ditched that as soon as open the stroller out the box. I ended up buying the baby jogger organizer (which has 2 cup holders). The stroller also protected my son from the sun!!! Full coverage unlike some other top brand strollers. Gosh I could go on an go about this stroller. I would definitely buy this again!!! My brakes stopped working in the first month I bought. Then one of the snap button became loose when I tried to unbutton the fabric for a machine wash, the fold mechanism was not smooth, it needs a few attempt to tried to fold them, I can't do it while I am pregnant. 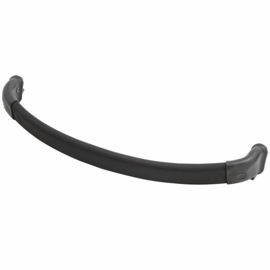 The button Half rounded bar was unable to click and secured now after the fold mechanism broke down. It was a disappointing experience overall.do not know where can I send this to repair in Canada. The store we bought from was not responsible for this. We bought this in June 2016 and have only used it a handful of times. The breaks stopped working and the wheels squeak like crazy. We only bought this for store shopping and flights as it is compact. I thought it would be sturdy like other models. I have never taken it on rough terrain, only smooth surfaces. Bought this stroller a year ago in Malaysia. My wife and I love it because it is foldable and can be put inside my car's trunk. Until now, i don't have any problem with this stroller. really love it! Bought this stroller a year ago in Malaysia. My wife and I love it because it is foldable and can be put inside my car's trunk. Until now, i dont have any problem with this stroller. really love it! I bought this stroller as our travel stroller. 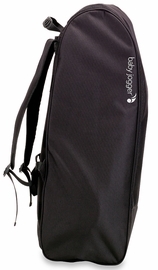 It has many great features including the compact size and light weight. I wanted to love this stroller but then the problems started. We have difficulties folding the stroller down as it takes a lot of jiggling around before it actually folds. The brakes are awful-they are very hard to put on and once on it takes a lot of force to take the breaks off. After the last fight with the breaks I am scared to use them again in case they do not let go. My other problem with this stroller has been the harness straps. The top harness straps come undone very easily which makes me very nervous when using this with our 8 month old. The other problem that we keep having is losing the strap covers-they slip off easily as the top harness straps pop off so many times. Like I said I really wanted to love this stroller but it definitely did not perform to typical baby jogger/city select stroller standards. I have had this for 4 months. Bought it for my then 6 month old in anticipation of a summer trip. First off I have had no issues with breaks. The sun canopy is #1 and kept my infant safe in very hot and sunny protection. I loved the fold and the fact that it unfolds into basically a full size stroller allowing for longer use. As many reviewers have noted a peekaboo window is seriously lacking and would probably (but for my fabric issue) resulted in a 5 star rating. My only issue was the fabric tore a small hole 2 weeks in. Baby jogger's solution was to send new fabric in a different colour than what i ordered. I bought a teal stroller because I liked the teal but replacement fabric only came in red. If I wanted red I would have bought red. 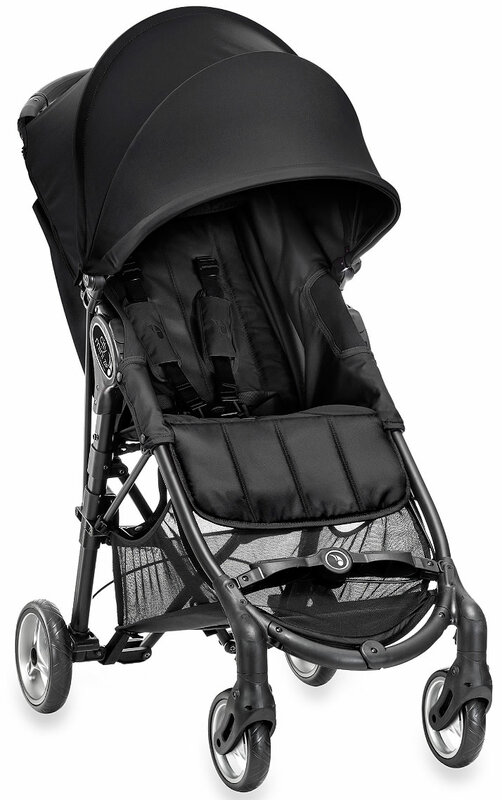 This went over cobblestones with ease and was very comfortable for my baby. 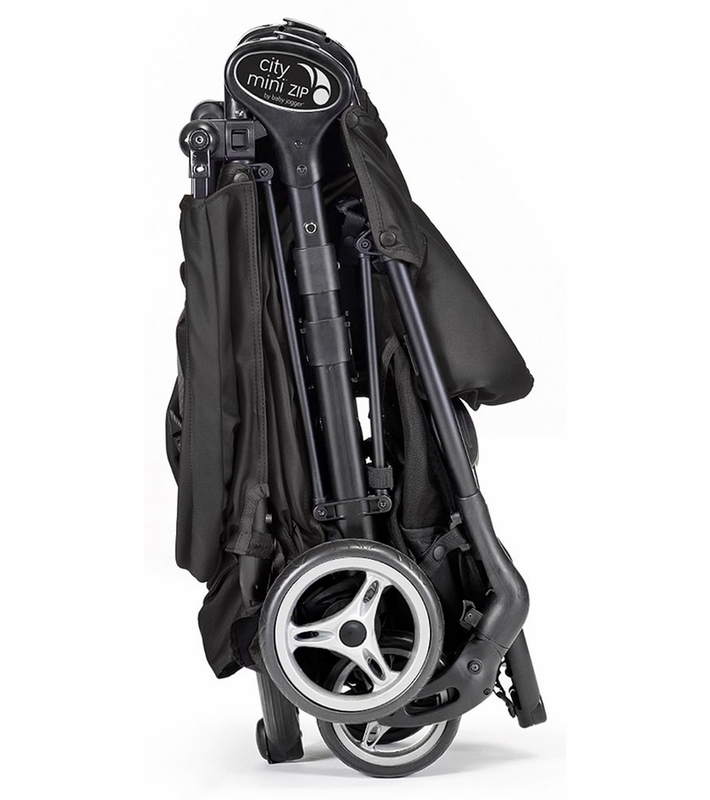 It really is a hybrid, convenient fold of an umbrella (actually better than most umbrella strollers) But unfolds into a full sized stroller with an unparalleled sun protection in a stroller of its class. I bought this stroller a month ago for travelling with a 3.5year old for those times just in case it was needed and for the airport. I was looking for a stroller that would accommodate a tall child and would last for a trip to Europe next year and take up minimal room. My 41 inch daughter loves it and calls it her traveller stroller. I purchased the belly bar on Amazon and it has made the stroller even better. We are currently on holidays and it is paying for itself. It folds up easy for going up and down escalators, specifically at a NFL football game where it was a long walk and a large crowd so we had it just in case and it was perfect. Friends on the trip without children have commented on the ease of steering and pushing with one hand and we have received comments about the fold. There is one feature that I am uncertain of is the red safety strap, it isn't clear in the instruction on whether it clips on both sides or only one side.....and it doesn't mention it on the folding instructions. Loving the stroller so far and will update as I continue my travels. I was hesitant on purchasing based on the reviews so needed to share a positive one for others who are wondering! I just bought this stroller a few weeks ago and I'm disappointed at how much I dislike it. Even more so because I waisted money on purchasing the rain over as well. The straps (harness) keep falling apart and I think my strap to close the stroller isn't working, as it takes about 5-8 tries each time. 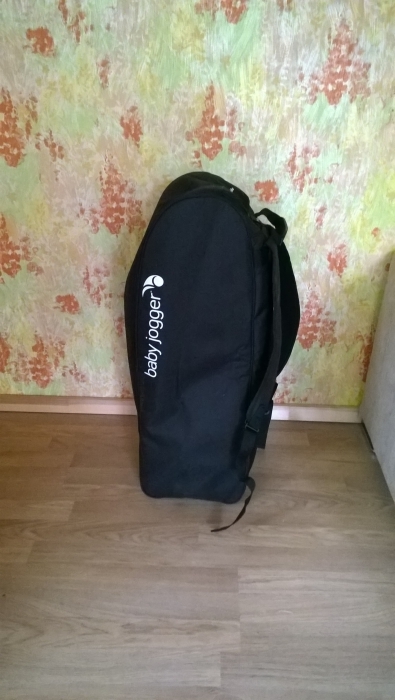 the quality is also not what I expected from such a well based company like baby jogger. I definitely wouldn't suggest this product to anyone. Very disappointed with the zip and regret not getting city mini. The straps never stay on and do not adjust properly. Within 7 months the brake stopped working and thankfully it was covered by warranty. However, tbe second frame broke as well within 7 months! Brake doesnt lock. Great... until it's not. Falls apart. This is a great little stroller, until all the parts start falling off of it! It was too pricey to last under a year. The screws fell out and now it can not be folded shut anymore. Hard to get parts to fix. I'll have to toss it into the landfill. BOO. Excellent stroller for traveling with young children and newborn ! Compact addition, a fully reclining position backrest, large canopy! And I love black! 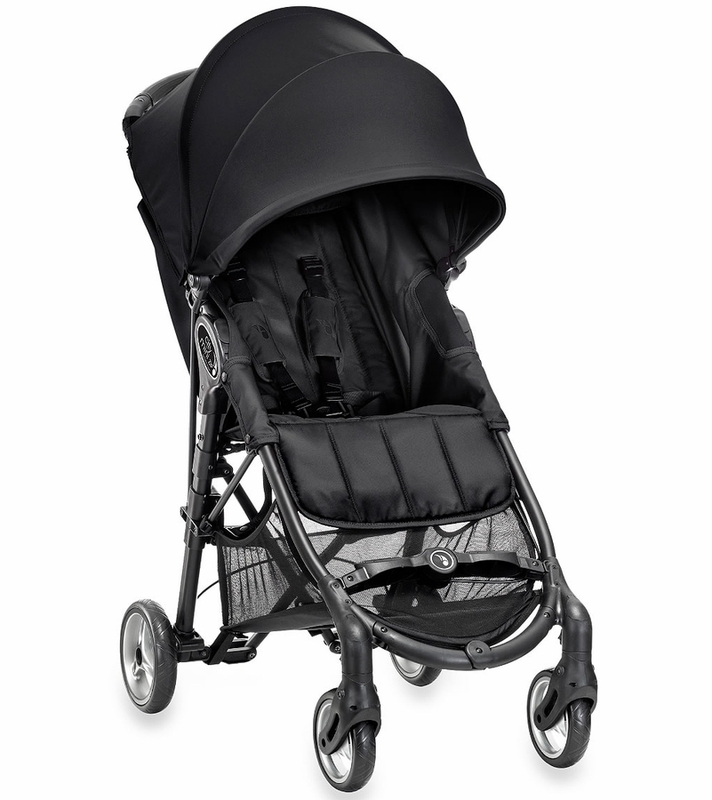 For black color fit any accessories for strollers. In addition, I ordered more, and a bag for transportation and bally bar. Very important things. Having owned a city select for the past 5 years i assumed this stroller would be of the same great quality,i was very wrong . I ordered it online from Germany and when it arrived i thought it was a little flimsy,i also thought after paying quite a lot of money for it a raincover could have been included. I only got to use the stroller a handful of a times before the stitching on one of the straps came undone and one of the plastic parts fell off,then 2 of the screws on the frame loosened and fell out so the stroller can no longer be used. I'm annoyed i've spent so much for nothing :( My city select is 5years old and still going strong. We brought this for our 2 year old who had really grown out of his travel system (which was too big and heavy for me) and the seat is big and spacious, the hood is high but great when extended for Keeping the sun off, idea for Taking on holiday, takes up no room in the boot, the handle height is suitable for my 6ft 2 husband and it's easy to fold and unfold. Expensive when all the accessories are purchased but we feel well worth it. We now have a baby on the way and have brought car seat adaptors and a buggy board. I used this stroller around the big city and found it easy to use, comfortable for my wee one, and able to carry a lot of baby gear! Love the look. Looks nice. Light. Stylish. Versatile for a smaller stroller. I bought this stroller a month ago and I love it! It is small enough to maneuver but big enough to still be comfortable for my son! After less than 8 months of use a screw fell out of the frame. We are surprised with the lack of durability considering we used it very gently. We are very disappointed considering the cost of the stroller. I have strollers that are much older that work better than this one. The brake is also tricky to use and we also had trouble with squeaking wheels. We wanted a �¢â¬�‹nice�¢â¬â¢ compact travel stroller. Not what we got. First there was an issue with the seat. Baby Jogger Customer Care sent a replacement (that I had to figure out how to attach). We then took our stroller to Europe. On day 3 of our trip, screws started to fall out of the frame! Baby Jogger Customer Care sent us a replacement frame. I�¢â¬â¢m now supposed to put my replacement seat on my replacement frame. There is obviously a quality issue. I am now the proud owner of a Frankenstein stroller. We wanted a 'nice' compact travel stroller. Not what we got. First there was an issue with the seat. Baby Jogger Customer Care sent a replacement (that I had to figure out how to attach). We then took our stroller to Europe. On day 3 of our trip, screws started to fall out of the frame! Baby Jogger Customer Care sent us a replacement frame. I'm now supposed to put my replacement seat on my replacement frame. There is obviously a quality issue. I am now the proud owner of a Frankenstein stroller. We wanted a nice compact travel stroller. Not what we got. First there was an issue with the seat. Baby Jogger Customer Care sent a replacement (that I had to figure out how to attach). We then took our stroller to Europe. On day 3 of our trip, screws started to fall out of the frame! Baby Jogger Customer Care sent us a replacement frame. I'm now supposed to put my replacement seat on my replacement frame. There is obviously a quality issue. I am now the proud owner of a Frankenstein stroller. I purchased the zip for my nine month old daughter. I was excited about the easy and compact fold. It looks nice and seemed super practical. But she hates it and so do I. First, the seat does not sit up all the way as many babies like to do. There is not even an available belly bar for her to pull herself up with. It also takes a few tries before it folds. It may be because I am petite, but I can hardly fold it. At first I assumed it was because it was new, but I have it for three months already and it didn't get easier. And then the brake got stuck. We were able to force it open, but I am scared to break it now. So all in all, this is a great stroller in theory, but needs a few improvements. We bought this stroller a month ago for day trips and in anticipation of a few vacations. We love the stroller. I would give it 5 stars if it had a child tray. Please make one baby jogger! The brake pedal broke after one month of very light use. This stroller seems to be cheaply made. Definitely not worth the money. Meant as a travel stroller, it has many perks, many features that I loved. Until the 4th day of trip to Europe the brake would not release. We were left with no option but to go buy a new stroller. Due to our luggage and new stroller we had no choice but leave this next to a garbage can where it belongs. A friend of mine bought this at the same time I did last month and her front wheels squeak and she has brake issues as well. It clearly has some technical issues that need to be worked out before this stroller is meant to be on the market. Save your money and buy something else. This travel stroller ruined two days of our holiday, one finding a new stroller and the other trying to find a way to ship it hime. We gave up. Terrible service from the Canadian distributor and we basically just threw away our money on this. Travel stroller yes, good for travel NO!!!!! I bought this for second stroller. My first one is city select. It is good but heavy so I wanted to buy lighter one. This is only 16-17lb and very easy to fold. And very small after fold it so you can save your room in the trunk. The wheels are much smaller so don't feel like city select but when I use it in the mall it went very smoothly and easy to control. Very light and smooth so I could control it with only one hand. It has big canopy and medium size basket. I love this stroller. It can be an alternative for umbrella stroller. I have poured over hundreds of reviews, blogs and watched an obscene amount of videos, obsessed find the PERFECT travelling stroller. (Well, I�¢â¬â¢ve come to found that there is no such thing, but the City Mini Zip comes pretty close with a few The City Mini Zip is almost the same size as the regular City Mini, but the material is a bit thinner (making it lighter) the footprint is significantly smaller when fold. This will be great for us when we take DS out to dinner, the BJ City Select, which we love, is rather large to store at restaurants. It�¢â¬â¢s a lightweight stroller with the benefits of a full sized one. There is a reasonable sized basket for storage underneath. The canopy is HUGE compared to any other stroller that we�¢â¬â¢ve seen, the downside is there is no peek a boo window, but the canopy is huge and it has SPF 50 which is key for our upcoming Disney Cruise to the Carribean. A HUGE bonus is that it has a belly bar, which I�¢â¬â¢ve found that a lot of the travel strollers do not have. I don�¢â¬â¢t know why, because DS LOVES holding on to it- he grabbed on and pulled himself forward, as soon as I snapped it on. I wish the bar would swivel open, so I don�¢â¬â¢t have to put him in behind the bar or take the bar off completely to get him in, but again, I rather have it than not. For some reason, the belly bar is not available on the Baby Jogger website. The recline is very nice, almost flat, so I'm confident DS will be able to nap comfortably when we are old all day on port excusions. I wish that there was a lever to engaged the recline instead of the drawstring, thus making it a two handed operation. The footrest is nice, so DS�¢â¬â¢s little legs aren�¢â¬â¢t just dangling there, which he really did not like in the Armadillo. I also like that the bottom portion of the seat can be adjusted, so his legs can be straight when he is napping. We have the Britax B-Safe car seat and it is compatible with this stroller, so it makes convenient to use when our DD arrives in October! The wheels are small (5.5 inches) and made of a hard rubber, which makes it a noisier ride than our BJCS. When I tested it out in our historical city, it did not fare well over cobblestones or uneven pavement, but this isn�¢â¬â¢t our everyday stroller so I�¢â¬â¢m ok with that. However it maneuvered beautifully in Whole Foods and we got by some displays that we normally would avoid with the CS. The one handed steering is great, I don�¢â¬â¢t have an issue with the buckle in the center of the handle bars as others have. The brakes are straight forward, red on the right for lock and green on the left for unlock, I have not had issues with it sticking as others have mentioned. I like that baby jogger finally threw us a bone and gave us a cup holder, however it protrudes from the side of the stroller and I can�¢â¬â¢t image using it for something other than a closed container. I think a starbucks coffee would spill after the first bump you hit. The downside so far was this is our SECOND Zip in 24 hours! The first one, a piece of the frame cracked and flew off when I folded it, so I took it back to the store to exchange for another one. So far this one is holding up well, but I�¢â¬â¢ve only had it for the weekend, so only time will tell. I think we might have achieved finding the �¢â¬�‹almost perfect�¢â¬â¢ travel stroller, less a few minor grips, but I�¢â¬â¢m always finding any excuse to buy a new one so this one will suffice for now. I have poured over hundreds of reviews, blogs and watched an obscene amount of videos, obsessed find the PERFECT travelling stroller. (Well, I've come to found that there is no such thing, but the City Mini Zip comes pretty close with a fewThe City Mini Zip is almost the same size as the regular City Mini, but the material is a bit thinner (making it lighter) the footprint is significantly smaller when fold. This will be great for us when we take DS out to dinner, the BJ City Select, which we love, is rather large to store at restaurants. It's a lightweight stroller with the benefits of a full sized one. There is a reasonable sized basket for storage underneath. The canopy is HUGE compared to any other stroller that we've seen, the downside is there is no peek a boo window, but the canopy is huge and it has SPF 50 which is key for our upcoming Disney Cruise to the Carribean.A HUGE bonus is that it has a belly bar, which I've found that a lot of the travel strollers do not have. I don't know why, because DS LOVES holding on to it- he grabbed on and pulled himself forward, as soon as I snapped it on. I wish the bar would swivel open, so I don't have to put him in behind the bar or take the bar off completely to get him in, but again, I rather have it than not. For some reason, the belly bar is not available on the Baby Jogger website.The recline is very nice, almost flat, so I'm confident DS will be able to nap comfortably when we are old all day on port excusions. I wish that there was a lever to engaged the recline instead of the drawstring, thus making it a two handed operation. The footrest is nice, so DS's little legs aren't just dangling there, which he really did not like in the Armadillo. I also like that the bottom portion of the seat can be adjusted, so his legs can be straight when he is napping.We have the Britax B-Safe car seat and it is compatible with this stroller, so it makes convenient to use when our DD arrives in October!The wheels are small (5.5 inches) and made of a hard rubber, which makes it a noisier ride than our BJCS. When I tested it out in our historical city, it did not fare well over cobblestones or uneven pavement, but this isn't our everyday stroller so I'm ok with that. However it maneuvered beautifully in Whole Foods and we got by some displays that we normally would avoid with the CS. The one handed steering is great, I don't have an issue with the buckle in the center of the handle bars as others have.The brakes are straight forward, red on the right for lock and green on the left for unlock, I have not had issues with it sticking as others have mentioned.I like that baby jogger finally threw us a bone and gave us a cup holder, however it protrudes from the side of the stroller and I can't image using it for something other than a closed container. I think a starbucks coffee would spill after the first bump you hit.The downside so far was this is our SECOND Zip in 24 hours! The first one, a piece of the frame cracked and flew off when I folded it, so I took it back to the store to exchange for another one. So far this one is holding up well, but I've only had it for the weekend, so only time will tell.I think we might have achieved finding the 'almost perfect' travel stroller, less a few minor grips, but I'm always finding any excuse to buy a new one so this one will suffice for now. The City Mini Zip is almost the same size as the regular City Mini, but the material is a bit thinner (making it lighter) the footprint is significantly smaller when fold. This will be great for us when we take DS out to dinner, the BJ City Select, which we love, is rather large to store at restaurants. It's a lightweight stroller with the benefits of a full sized one. There is a reasonable sized basket for storage underneath. The canopy is HUGE compared to any other stroller that we've seen, the downside is there is no peek a boo window, but the canopy is huge and it has SPF 50 which is key for our upcoming Disney Cruise to the Carribean. A HUGE bonus is that it has a belly bar, which I've found that a lot of the travel strollers do not have. I don't know why, because DS LOVES holding on to it- he grabbed on and pulled himself forward, as soon as I snapped it on. I wish the bar would swivel open, so I don't have to put him in behind the bar or take the bar off completely to get him in, but again, I rather have it than not. For some reason, the belly bar is not available on the Baby Jogger website. The recline is very nice, almost flat, so I'm confident DS will be able to nap comfortably when we are old all day on port excusions. I wish that there was a lever to engaged the recline instead of the drawstring, thus making it a two handed operation. The footrest is nice, so DS's little legs aren't just dangling there, which he really did not like in the Armadillo. I also like that the bottom portion of the seat can be adjusted, so his legs can be straight when he is napping. 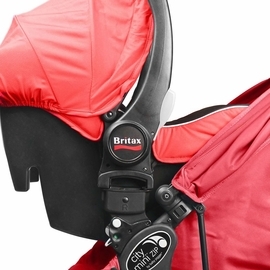 We have the Britax B-Safe car seat and it is compatible with this stroller, so it makes convenient to use when our DD arrives in October! The wheels are small (5.5 inches) and made of a hard rubber, which makes it a noisier ride than our BJCS. When I tested it out in our historical city, it did not fare well over cobblestones or uneven pavement, but this isn't our everyday stroller so I'm ok with that. However it maneuvered beautifully in Whole Foods and we got by some displays that we normally would avoid with the CS. The one handed steering is great, I don't have an issue with the buckle in the center of the handle bars as others have. The brakes are straight forward, red on the right for lock and green on the left for unlock, I have not had issues with it sticking as others have mentioned. I like that baby jogger finally threw us a bone and gave us a cup holder, however it protrudes from the side of the stroller and I can't image using it for something other than a closed container. I think a starbucks coffee would spill after the first bump you hit. The downside so far was this is our SECOND Zip in 24 hours! The first one, a piece of the frame cracked and flew off when I folded it, so I took it back to the store to exchange for another one. So far this one is holding up well, but I've only had it for the weekend, so only time will tell. I think we might have achieved finding the 'almost perfect' travel stroller, less a few minor grips, but I'm always finding any excuse to buy a new one so this one will suffice for now. I have poured over hundreds of reviews, blogs and watched an obscene amount of videos, obsessed find the PERFECT travelling stroller. (Well, I've come to found that there is no such thing, but the City Mini Zip comes pretty close with a few The City Mini Zip is almost the same size as the regular City Mini, but the material is a bit thinner (making it lighter) the footprint is significantly smaller when fold. This will be great for us when we take DS out to dinner, the BJ City Select, which we love, is rather large to store at restaurants. Its a lightweight stroller with the benefits of a full sized one. There is a reasonable sized basket for storage underneath. The canopy is HUGE compared to any other stroller that weve seen, the downside is there is no peek a boo window, but the canopy is huge and it has SPF 50 which is key for our upcoming Disney Cruise to the Carribean. A HUGE bonus is that it has a belly bar, which I've found that a lot of the travel strollers do not have. I don't know why, because DS LOVES holding on to it- he grabbed on and pulled himself forward, as soon as I snapped it on. I wish the bar would swivel open, so I don't have to put him in behind the bar or take the bar off completely to get him in, but again, I rather have it than not. For some reason, the belly bar is not available on the Baby Jogger website. The recline is very nice, almost flat, so I'm confident DS will be able to nap comfortably when we are old all day on port excusions. I wish that there was a lever to engaged the recline instead of the drawstring, thus making it a two handed operation. The footrest is nice, so DSs little legs arent just dangling there, which he really did not like in the Armadillo. I also like that the bottom portion of the seat can be adjusted, so his legs can be straight when he is napping. We have the Britax B-Safe car seat and it is compatible with this stroller, so it makes convenient to use when our DD arrives in October! The wheels are small (5.5 inches) and made of a hard rubber, which makes it a noisier ride than our BJCS. When I tested it out in our historical city, it did not fare well over cobblestones or uneven pavement, but this isnt our everyday stroller so I'm ok with that. However it maneuvered beautifully in Whole Foods and we got by some displays that we normally would avoid with the CS. The one handed steering is great, I don't have an issue with the buckle in the center of the handle bars as others have. The brakes are straight forward, red on the right for lock and green on the left for unlock, I have not had issues with it sticking as others have mentioned. I like that baby jogger finally threw us a bone and gave us a cup holder, however it protrudes from the side of the stroller and I can't image using it for something other than a closed container. I think a starbucks coffee would spill after the first bump you hit. The downside so far was this is our SECOND Zip in 24 hours! The first one, a piece of the frame cracked and flew off when I folded it, so I took it back to the store to exchange for another one. So far this one is holding up well, but I've only had it for the weekend, so only time will tell. I think we might have achieved finding the almost perfect travel stroller, less a few minor grips, but I'm always finding any excuse to buy a new one so this one will suffice for now. I bought this stroller because it handles like a full size stroller but folds up nice and compact. My daughter is now 8 months old and I still love he way this stroller handles but I wish I'd gone another route. The brakes, which started out easy to use, are now extremely difficult to use and doesn't stay locked. The basket on the bottom, while bigger than most travel strollers, is impossible to access if baby is sleeping in a reclined position. And finally the reason I almost didn't buy this stroller in the first place is the lack of accessories. This stroller would be so much better with a tray or belly bar. After 4 weeks of using this stroller, the folding was still not smooth...took a few yanks and pushes to get it opened andclosed.the store i bought it from told me it just needs to be worked in but it didn't help. The wheels started squeeking so i made my entrance very loud and clear when walking down the street. On top of that, a piece of the stroller fell orandomly, and a screw popped off and the entire braking system stopped working. When we sent in a complaint they only want to send us a new frame...what about the squeeky wheels and folding mechanism? Extremely disappointed to get such quality and customer service after paying $345 (tax included) for this stroller. It's a shame because i would have loved for this stroller to work out..it has great features except i wasnt able to gain from them because the stroller barely worked. We bought this stroller for my second child around 5 months ago. We wanted a compact, easy to maneuver and good quality stroller. But, by now it feels like an old stroller, first started squeaking and now is falling apart. We really like this stroller but the quality is not good. I think for the price, a regular stroller, even the city mini would be better. I have loved this stroller so far. I was looking for something that my 5 year old could fit in for our upcoming vacation - and it's perfect. She fits better in this than any umbrella stroller. It pushes easily and has a smooth ride. I love how it folds so compact...perfect for traveling! Oh, and the sun shade is amazing. Love love this stroller! Great stroller but on the expensive side. I love how compact this stroller is when folded down and yet the seat is like a full sized stroller. We had the City Select but no longer needed a double stroller. I was looking for a regular sized stroller that folds compactly yet still had a decent sized basket. This one fit my needs perfectly. A few drawbacks: the wheels are plastic and not rubber so it's s bumpier ride for the lil one, no snack tray that can fit on this stroller and parent consoles hang awkwardly on the handle bar. This stroller is on the pricier side but for us, it meets our needs and our lil one loves it and sits comfortably in it. We researched a lot for our first stroller. Originally we were set on Orbit G2 at first but decided to go more cost effective way. We wanted a lightweight yet functional stroller and looked at Flite, City Mini Zip, G-Luxe, Armadillo, and Quest. Read about almost all the views online on these strollers. We were hesitated on City Mini ZIp on the negative reviews on breaks but decided to take our chances. SO FAR SO GOOD. We are super happy about this purchase. It got a large size canopy, which we definitely need in Arizona. The seat can be set nearly flat so it is good for use from birth and later. The folding mechanism is the best part. This 3D fold is good for travel, storage, and trunk friendly. We pay extra attention to the break "gears", also make sure it is securely locked every single time. If I have to pick on one thing, it will be the $60 tag of the carry bag. I would say City Mini Zip is an excellent stroller in mid-price range. 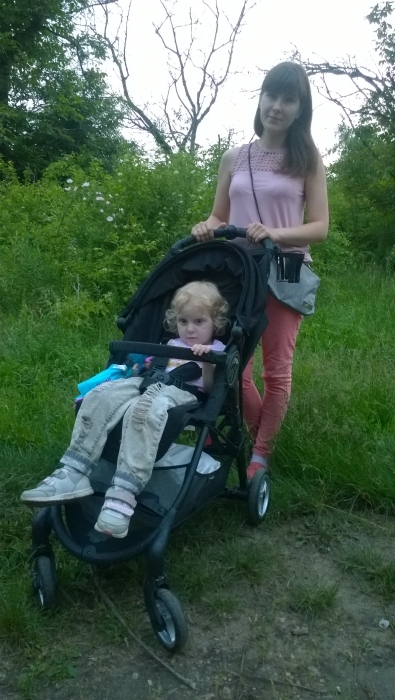 We bought this stroller to travel with and it works great as an umbrella stroller. It is just missing some features which would be so easy for the company to fix. There is no peek a boo window, which would be so easy to add. Also the recline feature doesn't allow the child to fully sit up and lastly there is no belly bar which would then allow for a tray. Small add ons that would make a world of difference. Excellent design, small size, build quality is lacking. Braking system is poor(broke), shoulder straps don't stay locked, seat stays reclined and doesn't sit in an upright position. Sent an email to manufacturer for warranty they told me to use WD40 for the brake. Not very helpful.